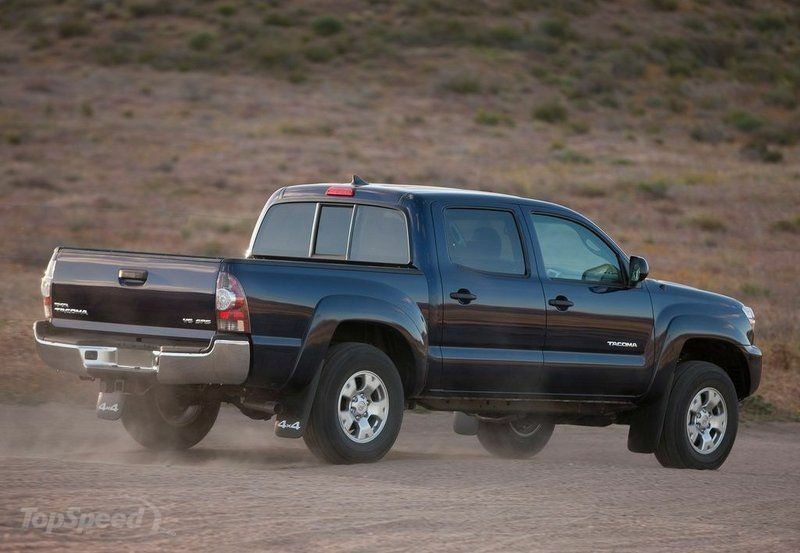 The Toyota Tacoma is basically the US version of the Hilux pickup. However, between these two models there are significant differences which make them perfectly suited for their unique markets. 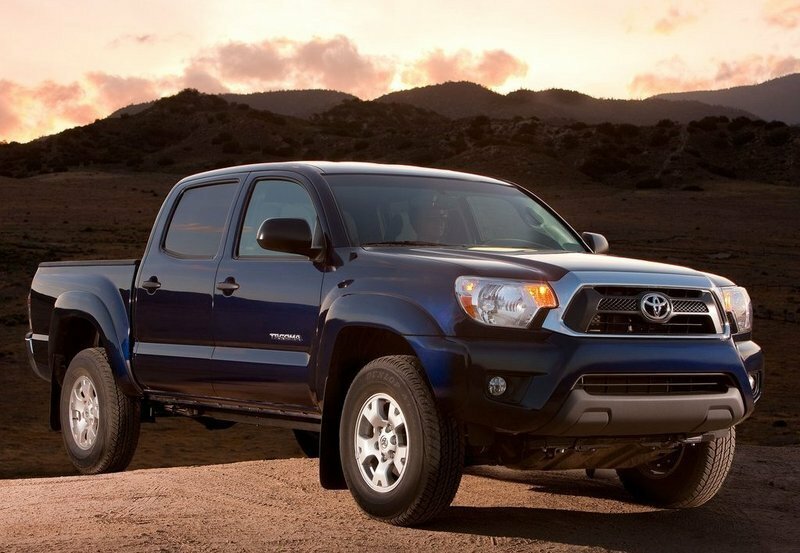 The Tacoma is the smaller brother of the Tundra and was designed for those who need the rugged character of a pickup, but without the heavy duty hauling and towing abilities. The vehicle is available in a wide range of body styles including three cab configurations - regular, extended and crew, all three with short or long cargo beds. While the Hilux has been totally revised recently and received a more aerodynamic exterior design, the Tacoma continues to keep its smug face that it’s now starting to show its age. Its hexagonal grille is pretty vertical, while the Hilux comes with a more aerodynamic nose. Yet, despite the fact that the Tacoma isn’t as sporty as its brother, we continue to like its rugged lines as they are a good match for the utilitarian character of the vehicle. We also like the big, imposing headlights and the aggressive air dam mounted into the hood. Though, we’re still not 100 percent convinced by the asymmetrical wheel arches that can be seen from the profile view. The muscular lines of the body are carried over by the front spoiler which it’s fitted with two huge fog lamps and a long air intake. Depending on the cab configuration the load bed length measures between 60.3 and 73.5 inch and its 56.7 inch wide (41.4 inch between wheel arches). The vehicle is available in three trim levels including the base, PreRunner and X-Runner versions. 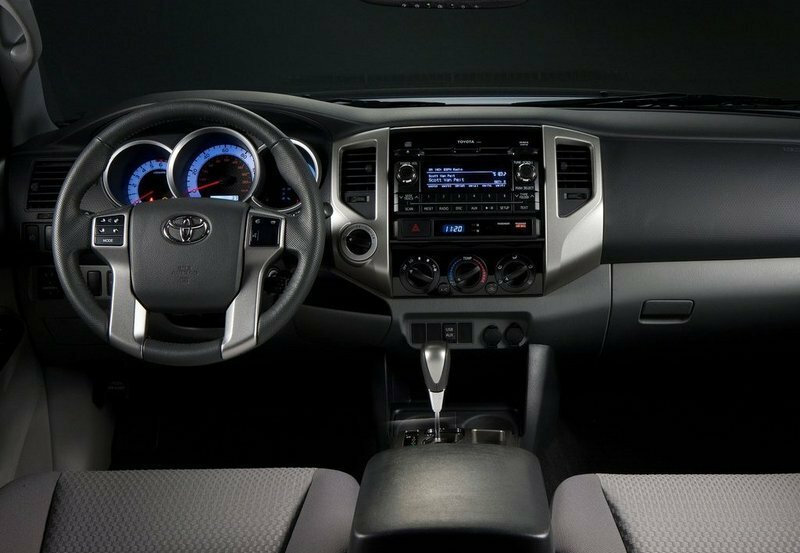 The base Toyota Tacoma comes with air-conditioning, a composite bedliner, a bed utility rail system, and a CD player. The PreRunner offers the style and suspension of the four-wheel-drive trucks without the actual four-wheel-drive system. Lastly, the top of the range X-Runner features modifications that enhance on-street driving without giving up much utility. 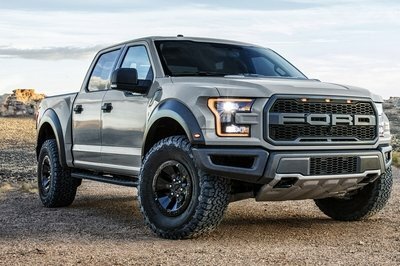 Naturally there is also offered the true off road package for 4WD versions. Inside, you are welcomed by a robust dash and a four spoke steering wheel. As it was expected, the materials aren’t exactly first class and you’ll find the hard plastics all over the place. Unfortunately, the build quality isn’t great either as a closer inspection will reveal a lot of poor fittings and unrefined details. Luckily, Toyota never plays when it comes to ergonomy and the Tacoma makes no exception, offering plenty of space for the front occupants and easy to reach controls. Though, the rear passengers will feel a bit cramped, as they lack proper leg and knee room. The instrument cluster looks pretty nice and it’s fitted with three huge gauges, just like the one from Hilux. All gauges have an intuitive layout and can be read without too much fuss. The four spoke steering wheel isn’t the best looking unit you’ll find around, but it can be considered decent and offers an adequate grab. Drivers will be happy to know that the seats are faultless and come with proper back and side support. If needed there are available plenty adjustments to help you get cozy behind the steering wheel. You’ll also find plenty of storage places to keep you satisfied. The base engine is a 2.7 liter four cylinder unit which develops a maximum output of 159 hp. This unit is better suited for those who can leave with a less quick pickup and don’t need to haul much of a load. 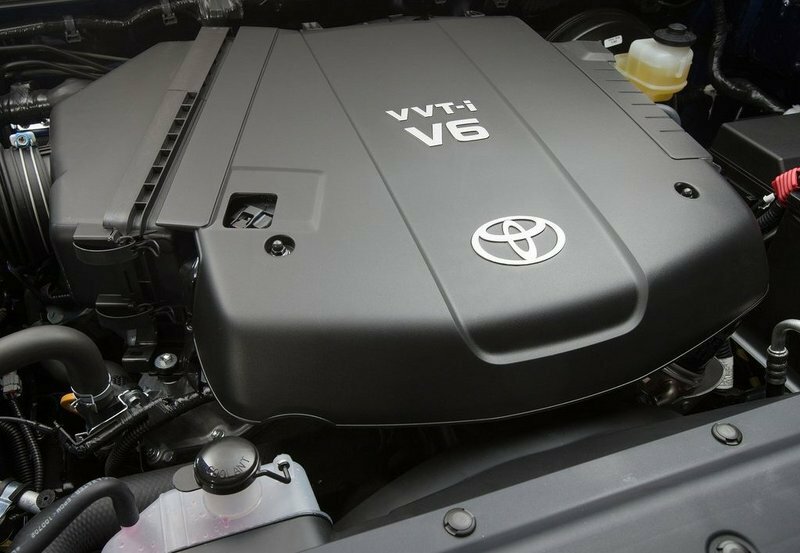 For the pretentious buyers, Toyota offers the 4.0 liter V6 unit which is totally different from its smaller sibling, delivering healthy performances thanks to is 236 ponies and the generous 266 pound–feet of torque. These numbers are enough to transform the Tacoma into a small beast on wheels which is eager to bite the pavement with poise even when it carries heavy loads at the back. Sadly, fuel consumption is a half step behind of what you’d usually expect to find in this segment with EPA ratings of 17 mpg in the city and 21 mpg on the highway. The engines are mated on a five-speed manual transmission, with smooth shifts but long throws. There are also available four and five speed automatic transmissions which are pretty capable and offer adequate response. Depending on the version, the Tacoma payload is into the 3-4-ton category, and its towing capacity can go up to 6,500 pounds. As we are talking about a utility vehicle, don’t expect to be treated with a comfortable ride. As most trucks of its type, the Tacoma will find it hard to keep your back safe from the biggest potholes, but if you’ll put some weight at the back, things will start to get a little bit better. On the other hand, the steering is good and responding letting you know exactly what the wheels are planning. However, the overall handling abilities are harsh and barbarian as the pickup feels unrefined. 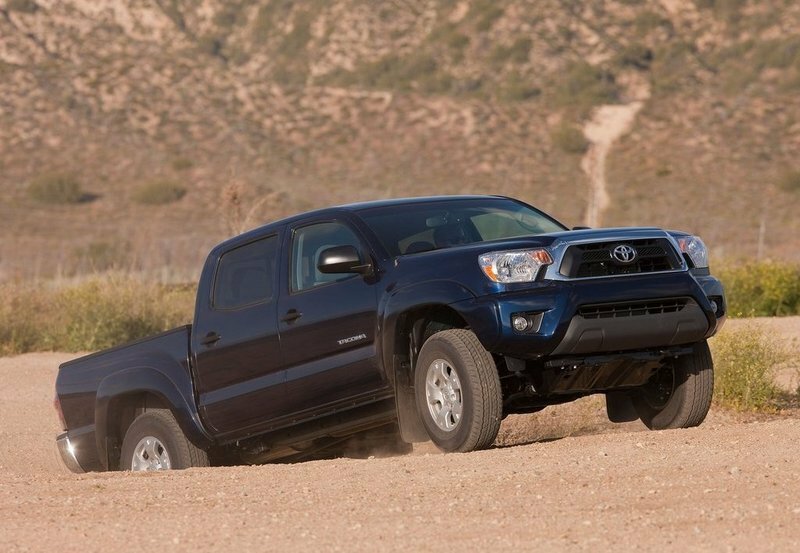 The Toyota Tacoma continues to have the same rugged character that made it the preferred choice for many buyers during its long history. However, the vehicle should receive a list of significant upgrades if it wants to compete with success against its today’s rivals. The cabin should come with a better comfort and a nicer interior design, while the engines need to be more efficient. The ride and handling abilities aren’t exactly first class, and the Tacoma should receive a few tweaks in these departments too.